Home > Posts tagged "NZ"
This is always a must do when in Golden Bay. Its a great day out for all the family. There is live music all day long, plenty of different types of foods to try like scallops, mussels, vension, goat, wallaby and much more. There is also a hangi and a spit roast. For the kids will be a bouncy castle and water slide. There is a pay bar and to get home there is a courtesy coach. Dont forget to have a go in the Wife Carrying Race. Its always a great laugh with good prizes for the winner..
All proceeds from The Collingwood Food Festival go to The Collingwood Rugby Club. This is their one big fundraiser for the year. Collingwood Rugby has been going for 125 years and in that time has never failed to put a team on the field. Money raized again this year will help keep that record going strong. For more info on The Collingwood Rugby Team, please click here. Go Wild With Weaving! AGAIN. 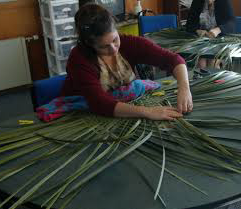 The last Go Wild with Weaving was in Oct 2014 and it was such a bit hit that another weekend has been arranged to go ahead Apr 11th and Apr 12th 2015. Spots are running out quickly so get in quick. 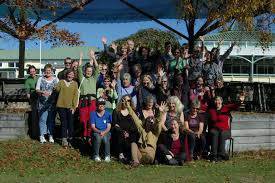 The course cost $330 and that includes the 2 day tuition, lunches are provided both days and also one evening meal and of course all the materials are provided. 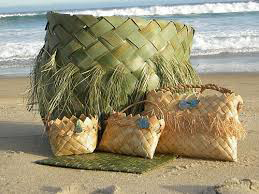 You will learn how to weave your own amazing creations, meet new people and have some great fun. The 2 day workshop consists of 5 different weaving courses all about using natural materials to weave beautiful baskets with flax, willow cabbage tree leave and pine needles. Each participant with get to choose the one you like the most. GW1 Go Stitching: Learn ancient craft skills of coiling and stitching with Deb Price. GW2 Discover the art of weaving found and natural materials with Anita Peters. 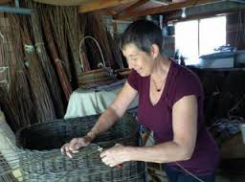 GW3 Go Basket Weaving: Get to grips with making willow baskets with Peter Greer. 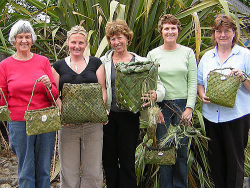 GW4 Make a fabulous flax kete with Maureen Harte. GW5 Knit an astonishing bark basket with Deb Curtis. 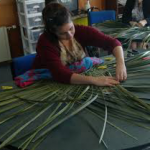 GW6 Learn plaiting and twining large, flax baskets with Sarah Hornibrooke. For more details on each course and to look at making a booking please follow this link to the Go Willow website, thankyou.